Publishing original research and review papers on all aspects of chemoreception in both humans and animals. Human communication takes many forms, but picturing humans using chemical mechanisms to send messages leaves us skeptical. However, this concept becomes more plausible when we think of communication mediated via pheromones in animals. If we can accept that mice developed mechanisms to recognize the odor of a cat (and consequently be frightened by it), why is it so incredible to think that humans have adapted a similar sensory communication system to interpret and react to the scent of fear? Laboratory-based research has increasingly revealed human sensitivity to the exposure to body odors—particularly sweat signals—which are produced by people undertaking emotional experiences. The most notable reactions are to negative experiences, like fear and anxiety. In other words, humans are able to emit body odors when they are stressed and scared that can be differentiated from the body odors they exude when they are disgusted or calm. Reactions to such chemical signals emerge in manifest behavioral changes, and when looking closely at physiological reactions and neural processing. However, we are rarely able to attribute such changes explicitly to the presence of a person’s body odor. The majority of these lab-based studies have not yet tried to mimic a real-life situation, making it questionable whether chemosignal communication in humans is a lab epiphenomenon. To investigate whether body odors can signal someone’s anxiety in a more realistic setting, we designed an experiment based on a daily situation in which two people are in close contact—to allow the smell of the body odor to be perceived—and an activity to be performed, which can be affected by exposure to the body odor. What better situation could there be for testing human responses to stress and fear than going to the dentist? Often, the possibility of a painful procedure induces significant anxiety in the patient, and they share the same peri-personal space with their dentist. We recruited two groups of dental students: the first group (donors) volunteered to donate their body odors; the second group (recipients) performed a series of dental tasks on mannequins under the exposure of different odors. Body odors were collected under two conditions – from donors during a frontal lecture, with minimal involvement on their side, and during a clinical dental session which was likely to induce stress body odors. Often, the possibility of a painful procedure induces significant anxiety in the patient, and they share the same peri-personal space with their dentist. To make sure that smelling someone else’s body odor occurred in conditions similar to real-life exposure (thankfully the majority of us wear deodorant and perfume that can mask our unwanted sweat), we decided to mask the body odors collected from donors by spraying a common odor on the t-shirts. This “deodorant” is commonly found in dental clinics: clove oil. To make sure that the masking odor would not bias our data in a specific direction, we also used it to spray some clean, unused t-shirts. The second group of students (recipients) were asked to perform three different dental tasks on mannequins dressed in the t-shirts from the three odor conditions: anxiety body odor masked with clove oil, rest body odor masked with clove oil, and clove oil alone. When asked directly about the perceptual features of the odors, the students were not able to determine differences in their intensity and pleasantness. However, the results revealed that the performance of the students was significantly affected by the scent of the anxiety body odor compared to the other odor conditions. The reported mistakes included—among other things—increased likelihood of damaging teeth close to the operation site and treating a wrong tooth. As demonstrated in the lab, exposing humans to emotional messages embedded in body odors triggers a simulation reaction: I smell your fear, I become stressed too. As we all know, stress tends to negatively impact our performances, particularly when we’re still inexperienced at the task in hand (as in the case of these dental students). Whether these effects are applicable to experienced professionals has yet to be determined. However, as with many other unconscious biases, being aware of the possibility of being subconsciously influenced helps us to take precautions against the negative consequences. This study is the first of its kind to show that even in situations mimicking real-life experiences the presence of certain odors with embedded social messages can influence our behavior beyond our conscious control. Devoting efforts to uncover these sensory-based behavioral biases, identify the chemicals that selectively mediate these effects in humans, and evaluate the contextual conditions in which we allow the smell of fear to affect our behavior requires further scientific work. And, we believe, it’s a fascinating endeavor to undertake. Featured image credit: Dental Repairs by rgerber. CC0 via Pixabay. Valentina Parma is a cognitive neuroscientist at the International School for Advanced Studies (SISSA) in Trieste. She investigates the role that chemosignal communication plays in human relationships, and she is particularly interested in understanding the translational role that body odors can have. Preet Bano Singh is a dentist and postdoc, working at the Department of Oral Surgery and Oral Medicine, Faculty of Dentistry, University of Oslo. Singh's research work involves understanding cellular underpinnings of the senses of taste and smell. 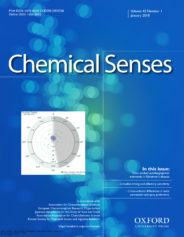 They are two of the authors of "Smelling Anxiety Chemosignals Impairs Clinical Performance of Dental Students," published in Chemical Senses.